Description: Two daughters, one father, one family. 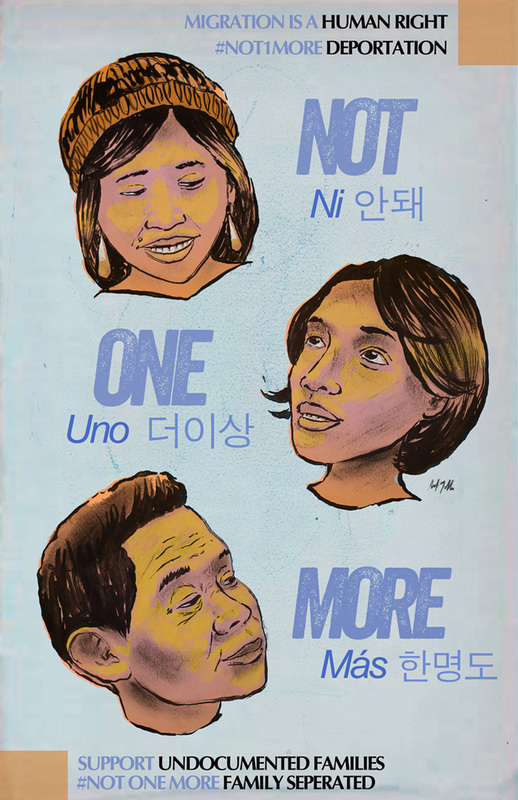 This is a poster design in support of the national day of action to say “Not One More” deportation. Keep undocumented families together. Bio: Born and raised in the Bay Area, Robert Trujillo is a visual artist and father who employs the use of illustration, storytelling, and public art to tell tales. These tales manifest in a variety of forms and they reflect the artists’ cultural background, dreams, political, and personal beliefs.